Hamilton Hounds are very easy going, but can be stubborn. They are very patient with children. This breed makes a fantastic hunter as it has a very high prey drive, so caution needs to be taken with small animals. Owners must provide plenty of daily exercise, and be the dog's firm, but calm, confident, consistent pack leader to avoid behavior issues. Hip dysplasia (very low instances) and epilepsy (very low instances). They are very adaptable and will suit any environment, given they have enough exercise. This dog has a lot of endurance. They need to be taken on a daily, brisk, long walk, jog or run alongside you when you bicycle. While out on the walk the dog must be made to heel beside or behind the person holding the lead, as instinct tells a dog the leader leads the way, and that leader needs to be the human. Teach them to enter and exit door and gateways after the humans. 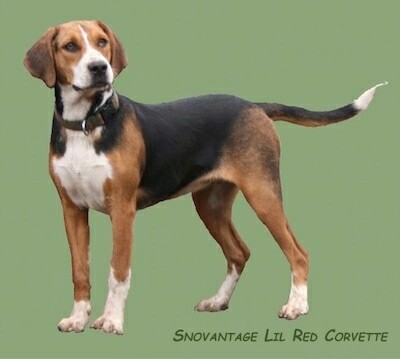 They should NEVER be left off leash unless in a secure area, as they have a tendency to run off trailing scents. Depends on the health of the line but the healthier lines can except to live at or past 12 years old. Very easy, very little shedding, bathe once a month. Bred in Sweden by Count Hamilton, who wanted a single hunter of fox in hare. 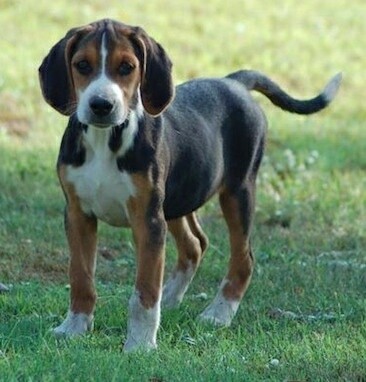 They were developed from German hounds and English Foxhounds. Hunta the Hamilton Hound at 6 months old—"Hunta (registered name Snovantage Lil Red Corvette) is from Snovantage Kennels in Queensland, Australia. Hunta came to us when she was 12 weeks old. She is now full grown and we cannot believe how fast the time has gone. It feels like yesterday that we picked her up from the airport, yet at the same time it feels like we have had her forever. Hunta is a very friendly and happy dog. She is quick to learn, although can be very stubborn if she chooses. She has a Jack Russell and a GSD x that she lives with and gets along famously with them. She loves her food which is very useful when it comes to training. 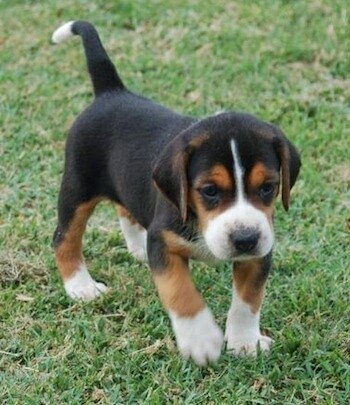 I have found a Hamilton Stovarre (aka Hamilton Hound) to be a wonderful addition to our family. Would definitely recommend them to other people, but maybe for a second dog, not your first."